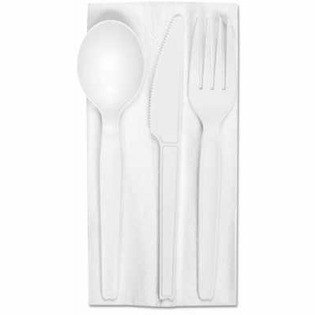 CPLA Cutlery is a fully compostable high-heat cutlery. It is made from corn starch in the form of CPLA, and will withstand heat up to 85°C (185°F) making it suitable for consumption of hot foods and soups. Aside from being suitable for commercial composting, we think that it's simply great cutlery.